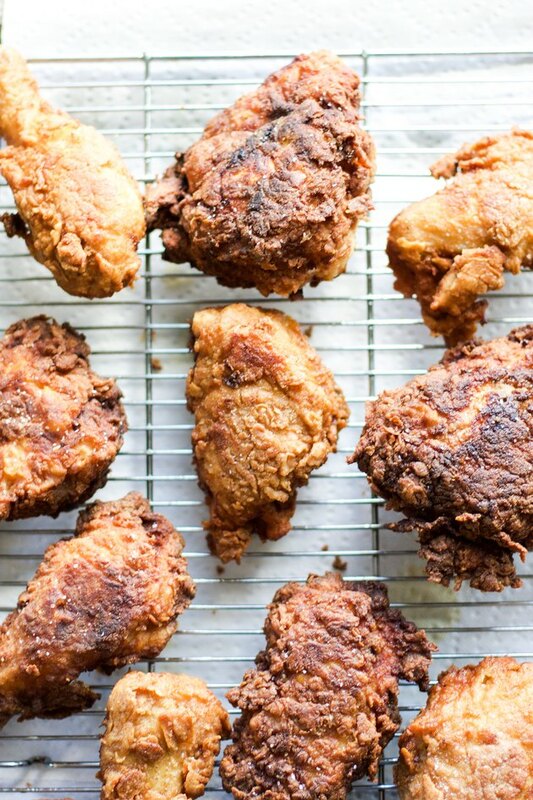 I grew up in Tennessee and fried chicken is something that I have memories of from an early age. And I have never challenged my mama's fried chicken... until now. 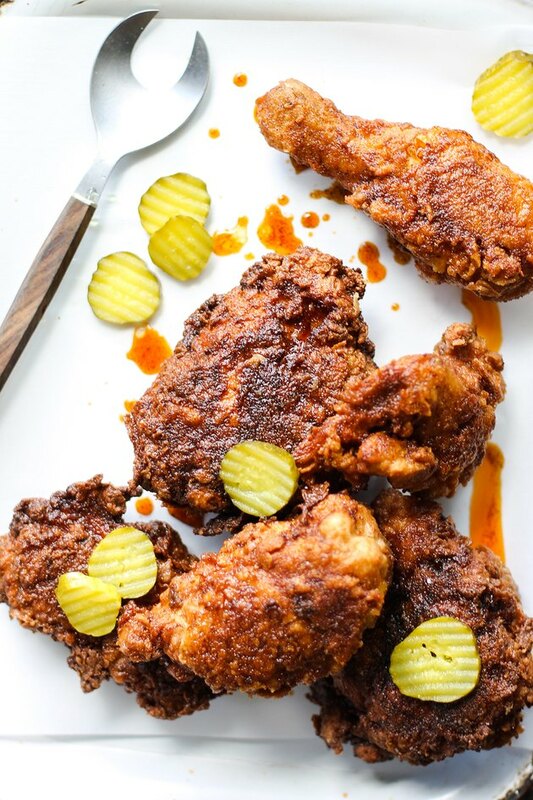 There is only one recipe that can stand up to it, and that is Nashville Hot Chicken! 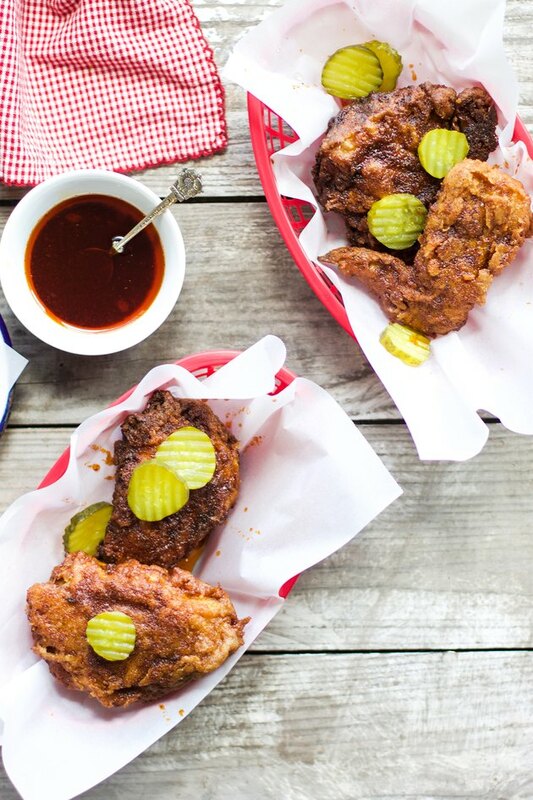 When I first heard about hot chicken, I was no longer living in Tennessee, so I decided I needed to try it for myself at home. The results were phenomenal. The chicken is perfectly crispy on the outside, tender on the inside, and has the most incredible sweet and spicy sauce poured over after it's done cooking that takes this recipe to the next level! Cut the breasts of the chicken in half for more even cooking time. You can also have your butcher or local grocer cut the chicken in advance. Step 1: Prep dredge and chicken. Cut up your chicken and dry thoroughly with a paper towel. Sprinkle with 1/2 teaspoon salt and 1/2 teaspoon pepper on both sides. Prep your dredging station by combining flour, 1 teaspoon garlic powder, 1 teaspoon. 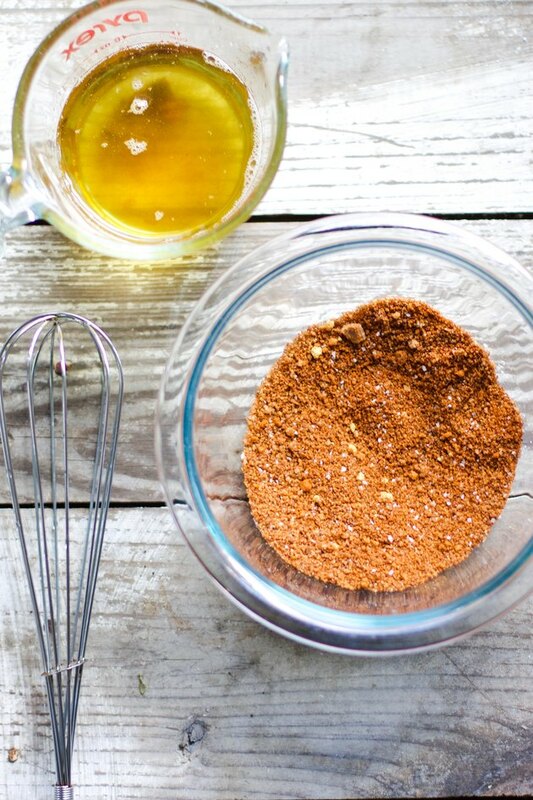 onion powder, 1 teaspoon cayenne, and 1 teaspoon salt in a large bowl and mix to combine. In another bowl combine buttermilk, egg, and hot sauce and whisk until combined. Have a baking sheet nearby to place chicken on. Step 2: Dredge the chicken. 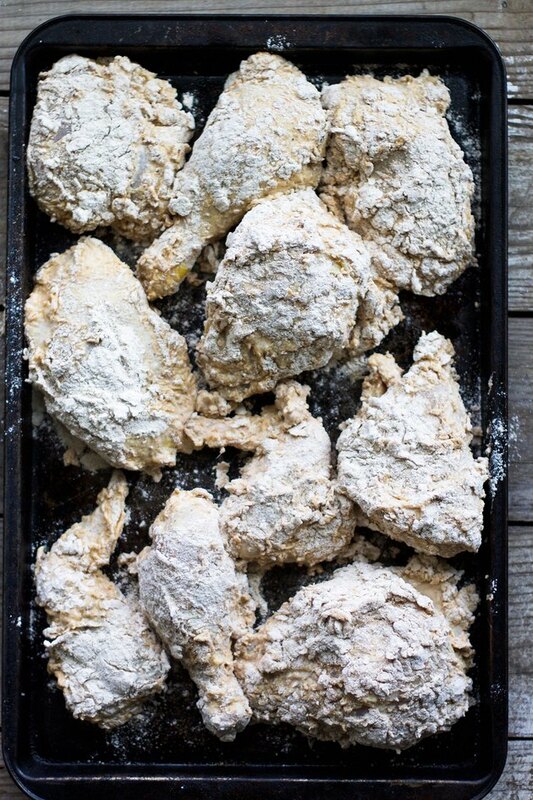 Place the chicken into the flour mixture and coat lightly, and then shake to remove any excess flour. 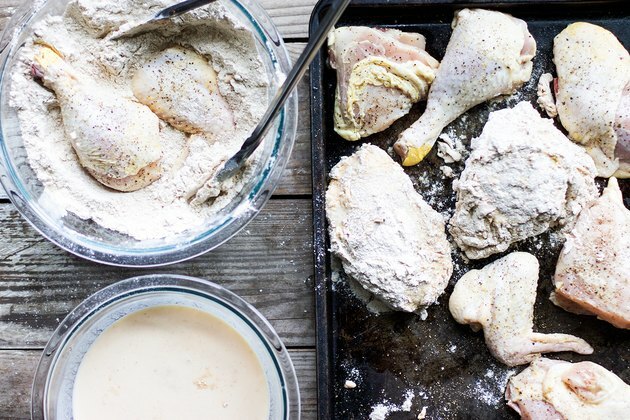 Take the floured chicken and place it into the buttermilk mixture and coat thoroughly. The last step is to place the chicken back into the flour mixture and coat entirely. 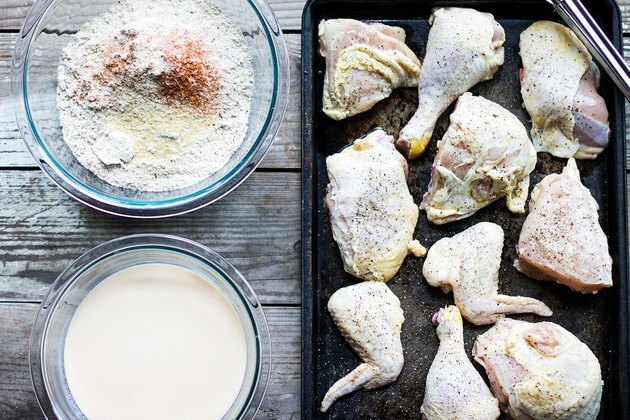 Place the dredged chicken on a baking sheet to prepare for frying. Continue these steps until all parts of the chicken are coated. Step 3: Heat oil to 350 degrees. 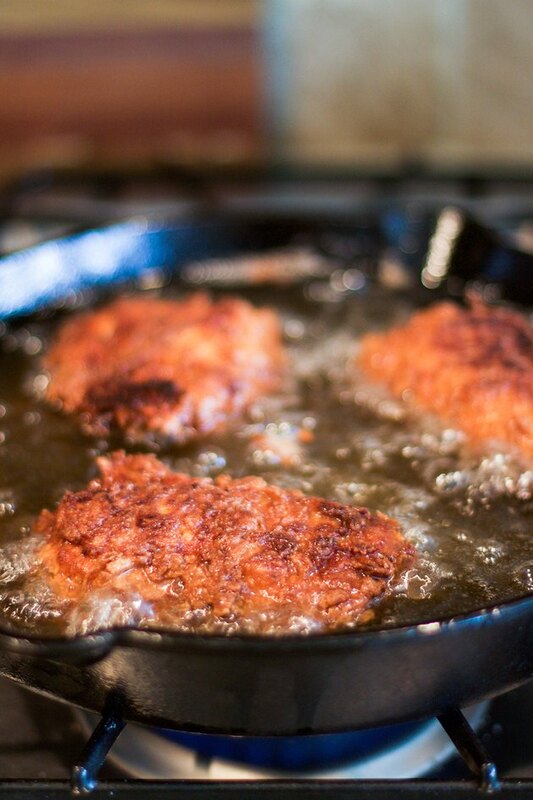 Pour enough oil into the bottom of a dutch oven or a deep cast iron skillet so that it's two inches deep. Adjust oil amount depending on the pan you are using. Heat the oil until it reaches 350 degrees. Test the temperature with an oil thermometer. Step 4: Fry the chicken. When the oil has reached the desired temperature, place half of the chicken pieces (careful not to crowd the pan) into the hot oil and cook for 7 to 8 minutes per side until golden brown and the inside of the chicken reaches 160 degrees for white meat and 165 degrees for dark meat. After cooking, place the chicken on a paper towel lined baking sheet with a wire rack on top to allow the chicken to drain excess oil. Make sure the oil has returned to about 325 degrees before adding your next batch of chicken. Step 5: Make the spice blend for topping. After the chicken has cooked, add the remaining spices of garlic powder, cayenne, paprika, chili powder, salt, and brown sugar to a medium size bowl and carefully whisk in 1 cup of the hot fry oil until well combined. Step 6: Drizzle spicy sweet oil over the chicken. When you are ready to serve the chicken, drizzle the hot spicy oil over the chicken with a little extra served on the side and top with dill pickle slices. Serve immediately. 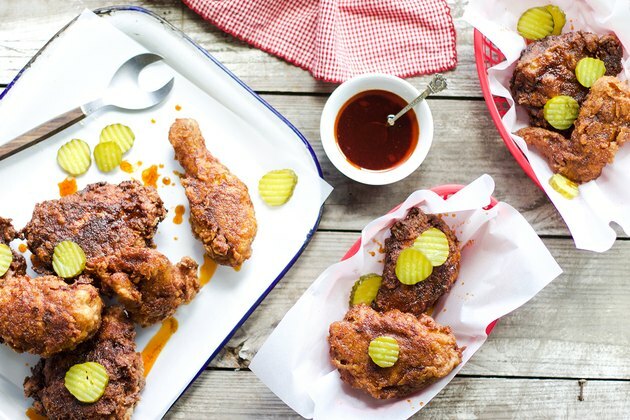 This recipe is simply amazing and you are going to love how easy it is to make Nashville Hot Chicken right in your own kitchen! It's the perfect Sunday night dinner... and it's calling your name.